Northern Ireland will travel to Holland to play a Euro 2020 qualifier on October 10 next year but the game will not be played in Amsterdam. The capital city's Johan Cruyff Arena is the traditional home of Dutch football but the decision was made by the Royal Dutch Football Association to host World Cup qualification matches in both Amsterdam and Rotterdam during qualification for the 2018 tournament. That's a policy that is being brought over into the Euro 2020 campaign, with their games against Northern Ireland and Belarus both moved to Rotterdam's Stadion Feijenoord, also known as De Kuip. The stadium can hold 51,117 fans, over 3,000 shy of the Johan Cruyff Arena's capacity. Holland coach Ronald Koeman explained: "We have decided to play our qualifying matches for EURO2020 in the two major stadiums of our country. This way, as many fans as possible can visit our matches. We keep good memories of the Nations League duel with Germany in the sold out Johan Cruijff ArenA and the win against world champion France in a full Kuip. "I hope that the Orange fans will once again come to the stadium en mass to encourage us. We look forward to it in any case." 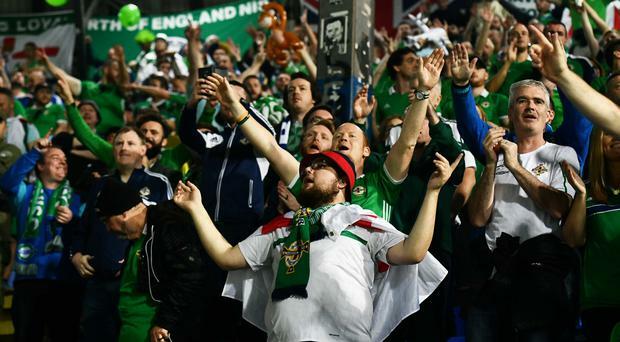 Northern Ireland begin their Euro 2020 qualifying campaign by hosting Estonia and Belarus in a double-header on Thursday, March 21 and Sunday, March 24.